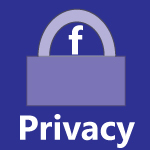 Facebook hosted a half-hour live webinar on December 5 to discuss the proposed changes to the site’s data use policies before users vote on the proposal. The controversial vote would ironically eliminate Facebook users’ right to vote on policy changes as well as shift policies relating to targeted advertising on the site. One of the proposed changes calls for users to give more information so that advertising can be more accurately targeted to them. “I think we’ve been perfectly clear with users that we have to show advertising in order to make money in order to provide the Facebook service, the only thing we were trying to do was to provide clarification,” said Katharine Tassi, head of data protection at Facebook Ireland, the company’s headquarters in the non-U.S. world. The Facebook representatives were quick to emphasize that Facebook does not sell users’ information, but instead uses it to target advertising. The deadline for the vote is noon PST on Monday, December 10. The vote has drawn criticism from several privacy watchdog groups, and many users have already weighed in on the issue. At the time of this writing, over 282,000 Facebook users had voted for the current policy of letting users vote on policy changes remain the same, while 49,500 people have voted for Facebook’s proposed change to be implemented. You can read all of the proposed changes here, and cast your vote here. As we’ve said before, this whole process is a charade and an exercise in futility. Facebook has rigged the system so that 30% of its members must participate for the vote to be binding, and that would virtually take a miracle to happen. As always, Facebook will be free to govern the site that best suits their interests.